Q. What is KYC & why do you need it? KYC or Know Your Customer is a process of identifying and verifying the identity of the consignee/importer which needs to be presented to Indian Customs during the import clearance process, without which the shipment cannot be cleared. 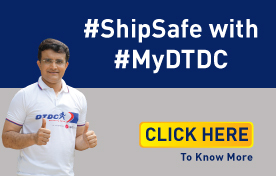 DTDC as your clearance partner, requires your KYC for customs clearance. Q. What KYC do I need to provide? Please refer to the table. Q. Does DTDC have the right to ask for KYC and personal documents for customs clearance? Why? Yes, DTDC has the right to ask for KYC and personal documents for customs clearance. As your authorized clearance partner, verification of the consignee/ importer KYC (Know Your Customer) is a responsibility of the carrier vide CBEC (Central Board of Excise and Customs & Customs) Circular 9/2010 dtd.08/4/2010. Q. If I do not have any of the documents listed above to show my ‘proof of identity’, can I still get my shipment delivered as I am a foreign national staying in India? Please share your passport and visa/ PIO number as proof of identity. Q. What should be done if the consignee does not work with the organization or has retired? If the consignee does not work with the organization or has retired, DTDC will inform the shipper and request them to suggest the next course of action (requesting for new address or return of the shipment). Q. If my name has been changed and I do not have any OVD(Officially Valid Documents)asKYC in the new name, how canI get my shipment cleared? A copy of the name change certificate issued by the State Government or Gazette notification indicating change in name together with a certified copy of the ‘Officially Valid Documents’ in your prior name will be required to clear your shipment. Q. Do I have to furnish KYC documents each time I order online or when I import into India? No. You do not have to furnish KYC documents each time you order online or import into India.Once you share your KYC with DTDC, our company will not ask you to share it again as it is saved in our internal company portal for future reference. Customs needs the KYC of the consignee/ importer for clearance, to whom the shipment is addressed. Hence, DTDC does not accept the KYC of any other person. Q. I have never shared my KYC with other service providers either while ordering any shipment online or importing it from another country. Why do I need to share it with DTDC ? KYC documents (a government recognized Identity proof) need to be presented to customs during the import clearance process. Hence, it is important that DTDC is provided with all the necessary KYC documents before the shipment arrives in India. Absence of KYC documents during the import clearance process leads to clearance delays as shipments are detained by customs until KYC documents of the consignee are provided either by the shipper based at origin or consignee based in India. Q. Where is the customs circular available? OR Can I get a copy of the regulation stating that KYC needs to be submitted? The circular is available on the CBEC website. www.cbec.gov.in. Please refer to Circular No.9/2010 - Customs dated 8th April 2010 on KYC norms for Courier. Q. I have already submitted my KYC while ordering the product online. Why do I need to share my KYC with DTDC ? Your online retailer has an agreement with DTDC to import, customs clear & deliver the items you ordered. As DTDC do not have access to the internal system of your online retailer where your order is placed, your KYC is required by DTDC for customs clearance in India. Q. How does DTDC guarantee no KYC is misused? We at DTDC take utmost care of our customer’s personal details by storing them in a specialized customer portal which can only be accessed by our KYC helpdesk & clearance executive. As a customs compliant company, DTDC assures you that your KYC will be used only for customs clearance purpose. Q. The shipment has been imported for the company, why does DTDC require KYC of the company employee? In case the shipment terms selected during booking of the shipment at the origin are B2B (Business to Business), customs require the KYC of the company for clearance. But if the shipment terms are B2C (Business to Customer), customs require the KYC of the company employee for clearance. Depending on the shipment terms agreed during booking, DTDC may ask for the KYC of either the company or company employee. Q. I got a SMS and tried to upload my KYC but I am unable to receive the OTP. Please try again after sometime because sometimes due to network congestion your carrier may delay the OTP.